2 garbage cans (the lighter the better), with the bottoms cut out. Split kids into 2 teams of 6-10 players. Have 1 student from each team stand up on a chair inside the basketball key (this can be marked with cones if playing outside). 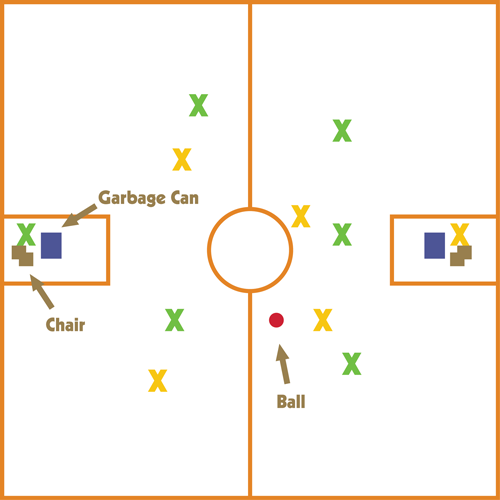 Players pass the ball down the field trying to throw it into the bucket. A player holding the ball can only rotate on one foot (think pivoting in basketball) when they are holding the ball. A player can only hold onto the ball for 3 seconds before getting rid of it. The player holding the bucket can move it to catch but cannot leave the chair. No player can touch the ball carrier, although they can try and grab the ball. Defensive players are allowed in their defensive zone. 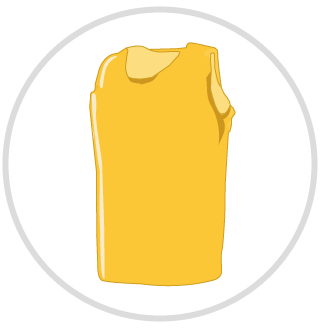 Offensive players may not enter the other team’s zone.